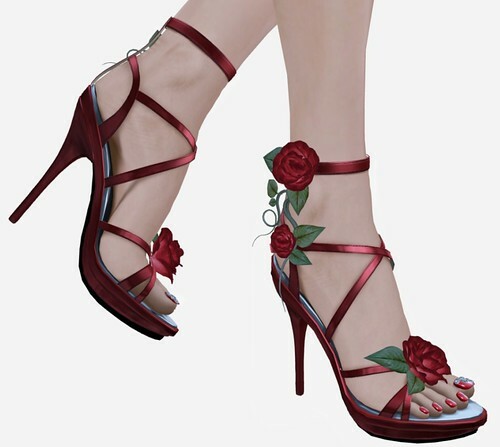 L+R+W has just released the Fairy Rose heels!! L+R+W is a collaboration between two wonderful brands, Love Soul and R2. I’m so excited about these because they’re a single attachment (shoes+invisiprim are together) so I can wear them with pants that have cuffs!! Also… the HUD system has been updated to a more user-friendly menu with 3 different tabs: Nail Color, Skin Color, and Resize & Pose. Everything is more visual than before, so it’s very very easy to color match your skin tone and select nail colors, etc. Each pair of L+R+W shoes also includes an Update Card, so when they upgrade or make changes you get the update for FREE! yay! 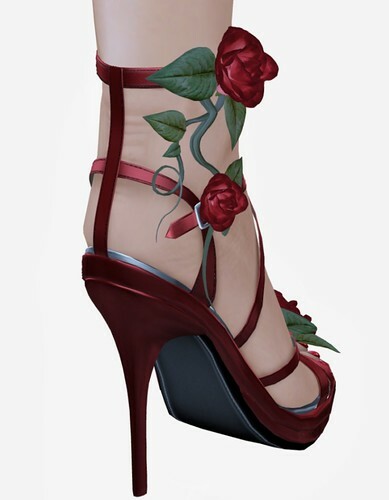 My favorite feature is the ability to show/hide roses, it’s really like getting 3 pairs of shoes for the price of one. This release has 9 different pairs to choose from — the White has 4 different versions, each having a different rose color. These heels would make great bridal shoes!!! Visit L+R+W and try a demo! i had never commented till now,ahaha,always such cute and pretty stuff is found on here and sl, always keep coming back to blog for anything new. I think I’m in love.. These shoes are just TOO cute! These would be really pretty for weddings, they photograph really well and look flawless when you edit a pic with these shoes in photoshop. So glad they came out with a new pair. I saw these on your blog and I had to go buy them! They were a bit pricey, but oooh sooo cute! I love them. they look just as good in sl as they do in your blog! Hi! 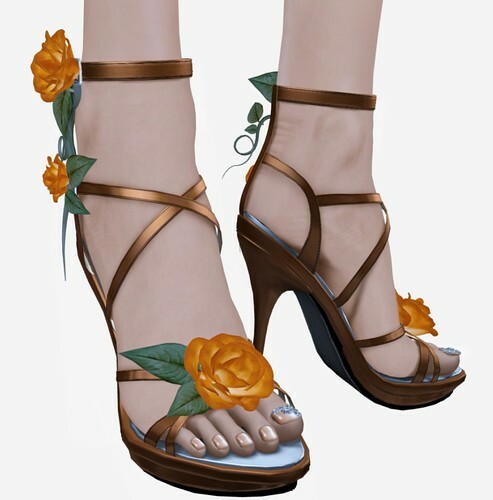 These are not ‘real’ shoes, they’re shoes to be worn by an avatar inside a game (Second Life).